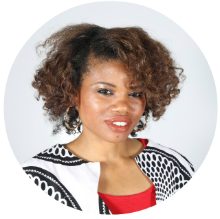 Felicia M. Johnson is a certified LOA, Life, and Business Coach. She effectively combines data from self-assessments, real talk coaching, and Law of Attraction principles, to help you close gaps you are experiencing in life or your business. She specializes in intercultural development, emotional intelligence, character strengths, impostor syndrome, and employee engagement. Felicia combines her military roots, formal education, and work experiences into relating well with diverse clients. Her “investing in yourself leads to success” coaching approach helps reveal the very best within each of her clients. Felicia meets you where you are, listens with an attentive ear, and asks transformative questions that get to the heart of the matter. Clients love the ease of participating in online coaching sessions. Contact Felicia today at sevenfoldcoaching.com to learn more about how she can serve you.